How do we know that the Nazis sometimes used open-air burning pits to cremate victims at Auschwitz-Birkenau? No evidence of open air burning pits has been found in Auschwitz-Birkenau. For example, Carlo Mattogno, an Italian Holocaust denier, performed complicated calculations to “prove” the ovens at Auschwitz-Birkenau couldn’t possibly have cremated the bodies of nearly 900,000 Jews. However, his complex calculations are irrelevant. When there were too many bodies to be handled by the cremation ovens, bodies were cremated in open-air burning pits behind Crema 5 and outside one of the two cottages at the back of Birkenau. There is eyewitness testimony from Nazi perpetrators and Jewish survivors regarding the existence of burning pits at Auschwitz-Birkenau. Further, aerial and ground photographs document the use of the burning pits, beyond any doubt. Between May 1944 and November 1944 more than 400,000 Jews from Hungary were sent to Auschwitz-Birkenau, where about 90 percent of them were murdered almost immediately in the gas chambers. Even one of the two cottages, which had been previously used as a gas chambers, was re-opened to handle the massive overflow. There are, in fact, very rare images of these open-air burning pits by a member of the Sonderkommando. Taken clandestinely at Crema/Gas Chamber 5, these pictures show the women being forced to undress before they enter the gas chambers and the men of the Sonderkommando dragging bodies to the open-air burning pits. Hungarian Jews arriving at Auschwitz. Bundesarchiv, Bild 183-N0827-318 / CC-BY-SA 3.0 [CC BY-SA 3.0 de (http://creativecommons.org/licenses/by-sa/3.0/de/deed.en)], via Wikimedia Commons. On July 8, 1944, the Luftwaffe (German air force) flew over Auschwitz-Birkenau taking reconnaissance photographs of the area. The image clearly shows a pillar of black smoke billowing out from behind Crema/Gas Chamber 5. Mattogno admits the existence of open-air burning pits, but claims that the smoke came from burning trash. In fact, Cremas/Gas Chambers 2 and 3 had incinerators that were dedicated to burning trash. Pery Broad, a member of the Gestapo in Auschwitz-Birkenau, spoke of the wholesale destruction of records in these incinerators at periodic intervals. There was no need for open-air burning pits when burning documents and trash. John Ball, a Canadian Holocaust denier, argues that an aerial reconnaissance photograph taken by the Allies on June 26, 1944, when the Allies flew over Auschwitz-Birkenau on their way to bombing factory targets, showed no open-air burning pits. This is because the deportation of Hungarian Jews was suspended during this time. The list of transports shows that no trains left Hungary from June 17 to June 24, but were resumed on June 25. The transports took three or four days to get to Auschwitz-Birkenau. Many Hungarian Jews were literally en route to their deaths. In addition, there was no evidence of Hungarian Jews being registered into the camp as slave laborers from June 20 to June 27, 1944, which again proves the suspension of activity. The evidence shows that open-air burning pits were used at Auschwitz-Birkenau when the cremation ovens were not able to meet demand. There is eyewitness evidence about the use of open-air burning pits. Further, aerial and ground photographs document the use of open-air burning pits. Carlo Mattogno, Auschwitz: The End of a Legend (Institute for Historical Review, 1994), pp. 6-32 as summarized in John C. Zimmerman, “Body Disposal at Auschwitz: The End of Holocaust Denial” at http://www.phdn.org/archives/holocaust-history.org/auschwitz/body-disposal/. Mattogno’s book can be downloadedat http://www.scribd.com/doc/96633790/Auschwitz-End-of-a-Legend. Filip Müller, Eyewitness Auschwitz: Three Years in the Gas Chambers (Ivan R. Dee, 1979), p. 133. See also Robert Jan van Pelt, The Van Pelt Report (“VII Auschwitz and Holocaust Denial”) at https://www.hdot.org. You can see these images at http://iconicphotos.wordpress.com/2010/09/02/the-sonderkommando-photos/. You may read and extended discussion about the source and importance of these images in Images in Spite of All: Four Photographs from Auschwitz, translated by Georges Didi-Huberman (University of Chicago Press, 2012). Brian Harmon, “See No Evil: John Ball’s Blundering Air Photo Analysis” at http://www.phdn.org/archives/holocaust-history.org/see-no-evil/. You can see the July 8, 1944 image in full and close-up showing the smoke at this site. 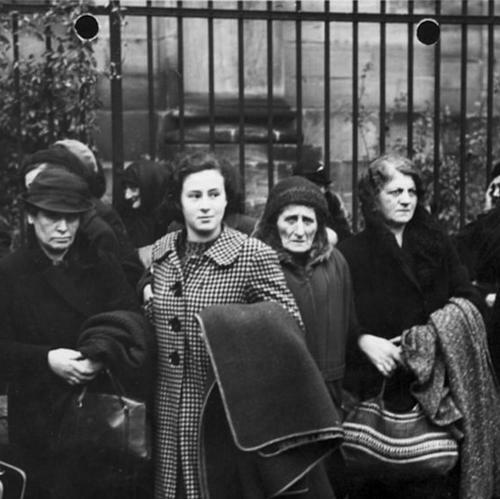 Carlo Mattogno, “The ‘Gassed’ People of Auschwitz: Pressac’s New Revisions” at http://www.vho.org/GB/c/CM/gcnewrev.html. See also John C. Zimmerman, “Body Disposal at Auschwitz: The End of Holocaust Denial” (“Open Air Burnings and Photos, 1944”). John C. Zimmerman, “Body Disposal at Auschwitz” (“Absence of Records”). See also Robert Jan van Pelt, The Van Pelt Report (“IV Attestations, 1945-46”), https://www.hdot.org. John Clive Ball, Air Photo Evidence (“5.2 Mass Graves and Mass Cremation”) at http://vho.org/GB/Books/dth/fndaerial.html.